Surety Bonds | Truitt Insurance & Bonding, Inc.
Surety bonds provide a guarantee of performance and principles of various objectives and duties. 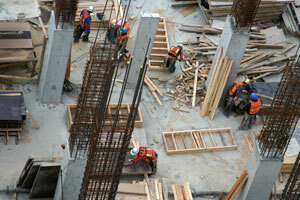 There are two types of surety bonds: Contract Surety and Commercial Surety. Contract Bonds are used in the construction industry providing financial and performance assurance that building and other construction projects will be completed on time, within budgets and in accordance with plans, specifications, and contract terms. These bonds also guarantee that certain subcontractors, laborers, and material suppliers will be paid so that the project is completed free of all liens. Contract bonds include various types: bid, performance, payment/supply, subdivision and maintenance. Commercial Bonds are a classification of bonds that refers to all bonds other than contract bonds. Commercial bonds cover obligations typically required by law guaranteeing adherence with applicable codes, statutes, court orders and regulations. Each bond is unique to the circumstances at hand. Examples of commercial bonds include: notary, probate, license/permit, public official and other miscellaneous bonds. Contract surety is a very unique segment of the insurance industry. While there are thousands of licensed insurance agents, very few understand how to handle contract surety effectively. At Truitt, we know the contract surety business and believe our extensive experience, strong market knowledge, and our commitment to literally go the extra mile when needed make us the clear choice for your business. From our firm’s beginnings, Truitt has handled contract surety on a daily basis. We have continued to grow our surety practice and are now recognized as one of the premier bond specialists throughout our operating territory. We have worked with contractors from those seeking their very first bond in a “fast-track” program to those primarily involved in Alabama’s open-bid work to those working on projects that take them across the country. We typically work with contractors on jobs under $10,000,000 That being said, we have issued bid bonds for projects with values over $40,000,000 and in 2014 we issued the largest payment & performance bond in our agency’s history on a project that will exceed $30,000,000. We will assist you in developing bond solutions based upon your company’s specific business needs and requirements. We provide our own in-house financial statement analysis and underwriting to maximize the effectiveness of your bonding program BEFORE an underwriter ever sees your information. We respect the time constraints our clients operate under with our commitment and willingness to handle every bond transaction in the most timely manner possible. Examples of Bonds We Have Provided. We Handle Surety Every Single Day. Commercial surety is basically anything that is not included under contract surety. There are thousands of uses for commercial surety bonds and can include both domestic and international needs from the largest multi-national companies to “Main Street” businesses. Industries needing commercial surety services include coal/mining, banking, healthcare, aviation, manufacturing, public utilities, retailers, service contractors, technology, telecommunications transportation and many others. Please contact us if we can ever be of assistance in helping you secure any type of commercial surety bond you or your client may require.